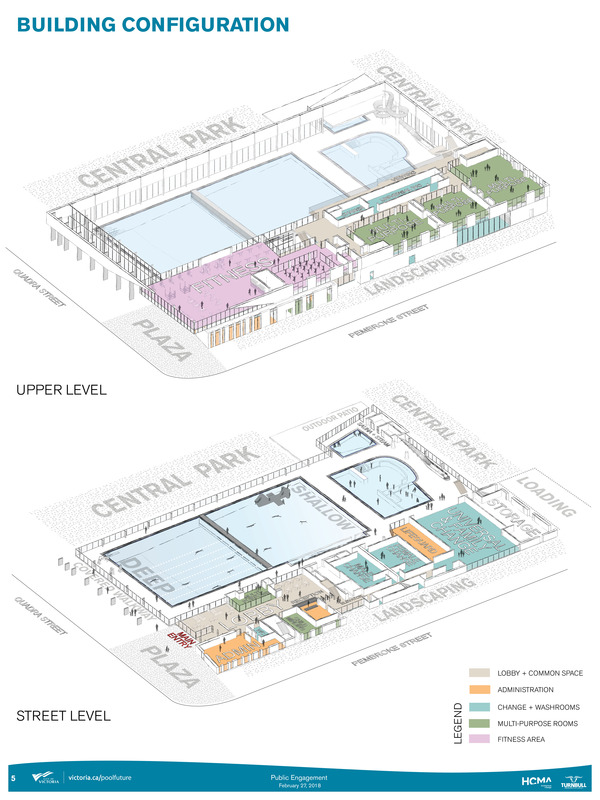 This site is an evaluation and discussion of the proposed concept design as it relates to the Guiding Principles established by the City of Victoria for the Crystal Pool Replacement Project. We need to generate a better discussion about the new Victoria Crystal Pool, there are too many missed opportunities with the proposed concept design for this important community asset and $70M investment. Our community badly needs a new community recreation centre. Our community is being strained – the number of people living and working in the core is growing, the region is becoming increasingly unaffordable for MANY of us, and people of all ages are feeling increasingly isolated and disconnected. I’m a former employee of the City of Victoria working in sustainability. This site will not disparage City staff, they work hard for this community and they care a lot too. Same goes for our councillors. This site won’t attempt to explain any breakdowns in the City’s process that may have lead us to the current concept design, nor will it support any blame of the community for not being more engaged and vocal. Those are not debates that advance the following guiding principles and so they will NOT be the focus of discussion for this website. There is broad agreement that a new recreation and wellness centre is long overdue for Victoria. At nearly 50 years old, the existing Crystal Pool hasn’t served most of us in the community for a VERY LONG time. As such, most of us have written it off as an asset in our health and wellness arsenal. It also appears that maybe many of us have forgotten that we are entitled to receive diverse and affordable indoor community recreation from our taxpayer dollars. This site is not a ‘no change is good’ or ‘no spend’ site, we will not support a call to halt spending on critical infrastructure in our community. We believe in fiscal prudence of course, but not frugal spending. Building one community recreation centre every 50 years is not runaway spending. When we make a decision to build a core community asset, let’s do it right. 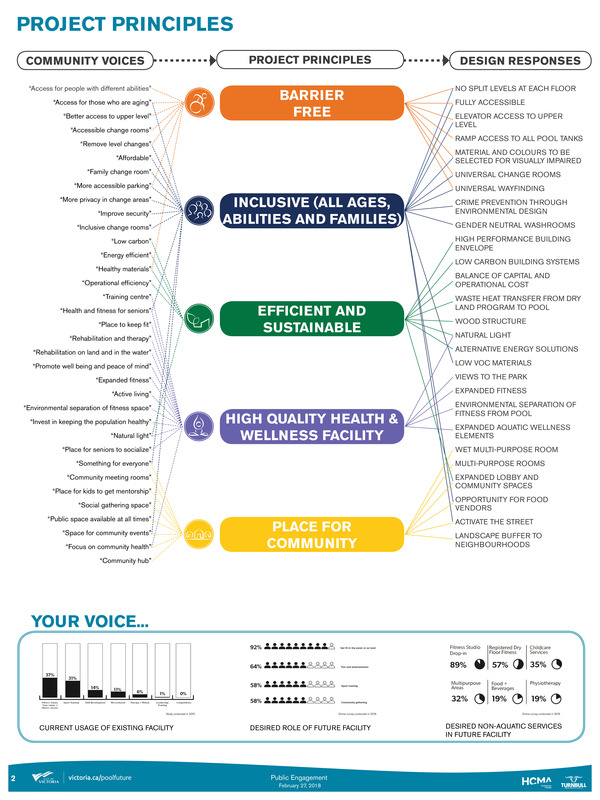 Let’s make sure this community recreation centre delivers the best for the most with the least– the best amenities and services, for the most number of people, and with the least amount of resources. The analyses on this site will include an assessment of the current proposed design and it will critique it, but it will also offer solutions for improvement. It’s simple. We want a better Crystal Pool for All. We are not like large Canadian cities, or even Saanich, with multiple municipally-run community recreation centres. This isn’t a discussion about ONE community recreation centre in Victoria, it is about the ONLY community recreation centre for Victoria. We are all busy, this website and any calls to action will always keep this front of mind.